* On Saturday, I put a load of laundry in the washer and figured it’d be done in an hour and I’d then put it in the dryer and then I would have freshly clean laundry. That’s what usually happens in my happy little world. That is not, however, what happened. No. Apparently the timer/brain control part stopped working and it refuses to go into the rinse or spin cycle. So, instead, it fills, agitates and then soaks and never drains. Which means if I had any stains at all on my clothes, they have now been suitably pre-treated. 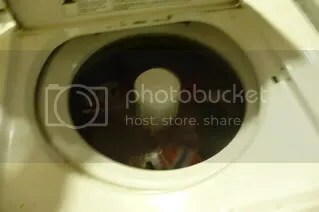 God bless my in-laws who allowed us to rinse and spin my load of laundry in their washer. And my wonderful husband who transported it from here to there and back again for the drying. 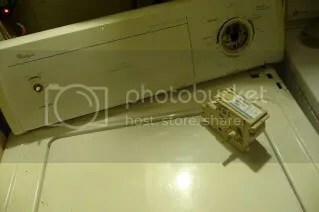 Now, I’ve just gotta cough up the spare $100 I always have lying around (ha ha) to buy the washer a new brain. * While I was researching washer parts at 10pm on Saturday night, I went to print out a couple of “finds” on my “wonderful” HP C7250 printer that I bought a couple years ago. It refused to print and gave me a printer cartridge error instead. So, I changed out the printer cartridge it indicated and reset it… but the error didn’t clear. 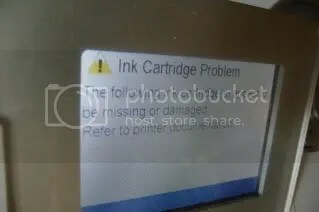 Despite re-inserting the cartridge, and all manner of acrobatics, the error refuses to clear and so the printer won’t print. I have had problem after problem with this printer and am at about my wits end with it. While searching for a resolution online I came across hundreds of bad reviews for this thing that weren’t out there when I bought it (guess it was too new?). The best one of all was something along the lines of, “This piece of crap isn’t even worthy of being a boat anchor.” I laughed because that about sums up how I feel I about it, too. 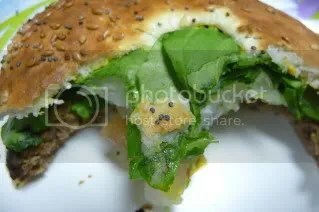 * This was my hamburger on Monday, and just before I took my next bite I saw the frowny face made out of seeds (if only it were the face of Jesus, I could have sold it on eBay for a fortune!) which pretty much shows what my face was like after the washer part breaking and my printer having an unresolvable error. 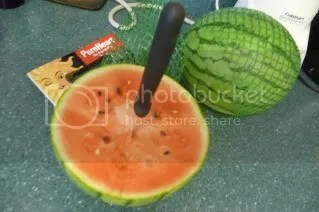 * Say hello to WATERMELON! I held off buying them, even though they were there, because last year I bought some at this time of the year and was soooo disappointed. The rind was over an inch thick and the fruit was like eating pithy, tasteless water. I guessed it was too early in the season. I finally gave in this year, because I could hear them taunting me, “Jammie — come buy and try us….” And, lo, they are very good. I am waiting impatiently until blueberries drop in price and then I shall have my mostest favoritist seasonal snack ever … watermelon and blueberries, together. I live for this time of year! 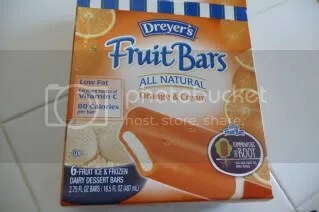 * It was so hot last week, I was searching out anything and everything that was cold… have to say, these Dreyer fruit bars are pretty good. Even on a cold day (like we’ve had this week). 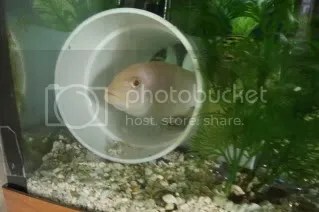 * When we were over at Fish Whisperer’s house a couple weekends ago, I noticed that in his cichlid tank he had some big, plastic pipes that he’d bought at Home Depot for a couple bucks. The cichlids LOVED them, and used them as tunnels, even going out of their way to swim through them. A light bulb went off in my head, and Tony went and bought a couple of them, which I added to my cichlid’s tank. At first they were scared, but after a day or so, they were swimming through them and it is so fun to watch them do that! * I saw it coming a couple weeks ago, and this week it finally happened. The star jasmine that is everywhere alongside the street where I exit the freeway to all around the building where I work, and in the parking lot at work, has just exploded. 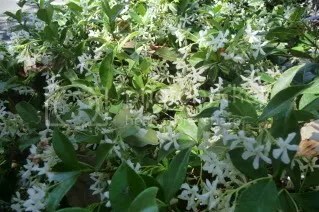 The scent from that jasmine is like a drug to me, it smells so sweet and good. I’m savoring that scent because I just know the gardeners will come through and cut them all back… probably in a couple more days. They always do that, you know. 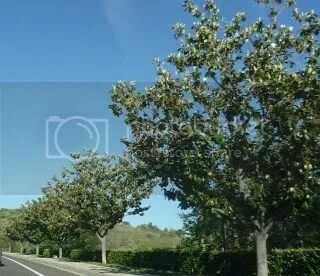 * The street I take home from work is lined with magnolia trees. It goes on for several miles, and I tried to count the trees but lost count after 30… I would guess there’s maybe 100 on that street? I don’t really know, but they are all preparing to bloom (again) this season. The huge blossoms are still green and closed, lifted straight up in the air like fancy light bulbs in a candelabra, just waiting for someone to illuminate them for unfolding. It’s quite magnificent, and I am really looking forward to their blossoming. The scent will be amazing. It sounds like a lot is going on there—Some Bad….and Some Good! I hate when the ‘appliances’ go wonky!!!! It is so frustrating and aggravating, too….I hope you find a GOOD replacement Printer, my dear…..
I’m happy to know the Watermelon are GOOD!!!! HOORAY! LOVE Jasmine…I too find it intoxicating! Drinbk it in while you can….! Watermelon and jasmine… so wonderful! Today on my way home from work, I smelled the magnolia trees — the wind must’ve been blowing in the just the right direction! BOO to appliances who team up and decide to peter out together. How rude! Star jasmine is so wonderful, and there’s so much of it everywhere! Jasmine, magnolia, and lilacs are just about my favorite things to smell ever. Although bacon is right up there too. Oh, yes, I forgot about lilac. I don’t have any of that around here, though. Sadly. YOu know appliances go in 3’s right? lol. I hate that…. I love this time of year when all the trees and flowers are blooming and the air is full of wonderful smells! Boy, if I could get a new brain for one of my kids for $100 I’d be so there! Your sandwich looks like its sticking its tongue out at you. Probably cause you bought a bad printer and didn’t know it. Your fish looks like its wearing one of those cones you put on a dog! Is that what happens when they’re bad? Fish cone of shame? Summer? Is it summer? I thought it was still springtime? Greetings. A caring message for you. I look forward to see a photo of the blooming of the magnolia trees. I believe that the scent’s amazing.